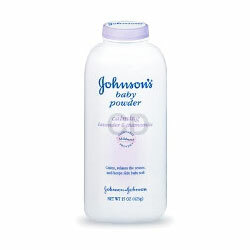 Buy Johnson's Baby Powder Blossoms Floral Fragrance - Johnson & Johnson Baby Products in India. Calms and relaxes the senses while keeping skin dry and baby soft. Clinically proven gentle and mild. Allergy and dermatologist-tested.Touch of love. Delicately scented with a long-lasting fragrance. Sprinkle powder onto your palm and smooth onto baby's skin. Keeps baby soft and smooth, dry and happy. Best for Baby, Best for you. Avoid contact with eyes. Keep powder away from child's face to avoid inhalation, which can cause breathing problem.